Port in Computer Networking allows a computer listen or transmit information on these ports. A port is distinguished by its number and corresponds a standard. This port in Port in Computer Networking is also known as the port number. These corresponds to the transport layer of the OSI model. The word Port in Computer Networking originated from the Latin word porta, which means door. 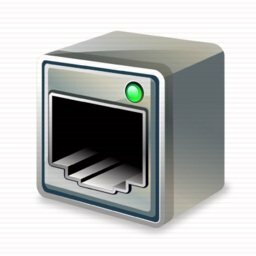 For simplicity, we can consider Port in Computer Networking as doors of a server giving access to the operating system ( Linux, Microsoft Windows , Mac OS X and so on). A program must have the access to the operating system and should open the port to enter the operating system. This is how we can connect to a remote server and run commands through SSH/Telnet clients. Due to abstraction layer, we can run multiple software servers on the same machine and even simultaneous software in client and server model. There are 256 assigned numbers known as Port in Computer Networking, among this number, only few are actually needed for day to day work. The number of Port in Computer Networking is expressed in 16 bits, which means that there is a maximum of 65,536 ports on a computer. Port assignment is done by the operating system on request by a software. When an user wants to communicate with software, the user needs to know the port number. The ports used by the services are to be known by users, the main Port in Computer Networking used in client server model are reserved, so they are a standard number. Most softwares do the communication with the above mentioned Port in Computer Networking. This Article Has Been Shared 8620 Times! Ports are important in computer networking. Knowing the OSI model and which protocols run where can help you understand more about ports. By understanding the different ports, software and hardware firewalls will become easier to understand and configure. How can you protect your network if you don’t know that port 53 is used for DNS? Or even port 80 for HTTP? Cite this article as: Abhishek Ghosh, "Port in Computer Networking," in The Customize Windows, September 28, 2012, April 23, 2019, https://thecustomizewindows.com/2012/09/port-in-computer-networking/.